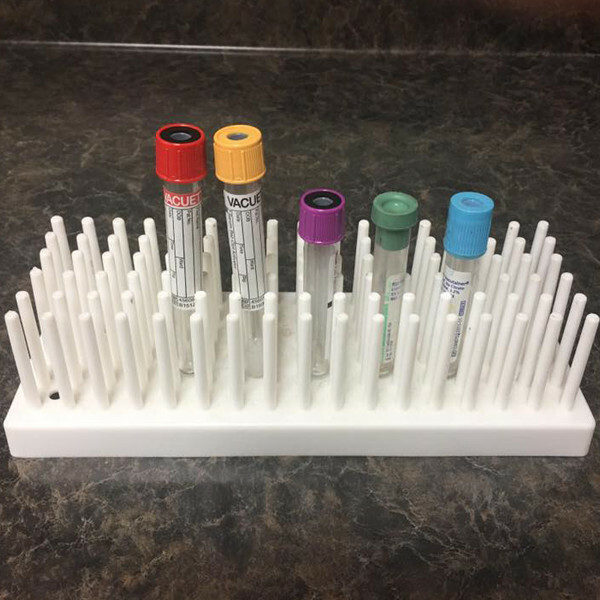 Have you noticed that we use different colored blood tubes? Each color relates to unique additives that are in the tube. Red: Contain NO anticoagulants, used for serum testing. Serum is fluid that is left behind after the cells are removed due to clotting. Gold: Contains a clot activator and special gel to separate serum from the cells. Purple: Contains a clot blocker and are used for complete blood count(CBC). Green & Light Blue: Used for plasma testing. Plasma is left over after uncoagulated whole blood cells are removed by centrifugation.